Whether you were diagnosed days ago or years ago, we offer services and support, at no cost to you, for every phase of the experience. This reusable canvas tote bag is full of items that we, as survivors, found helpful throughout treatment and beyond. For those newly diagnosed, it is our gift – at no cost to you. Simply contact us for delivery. 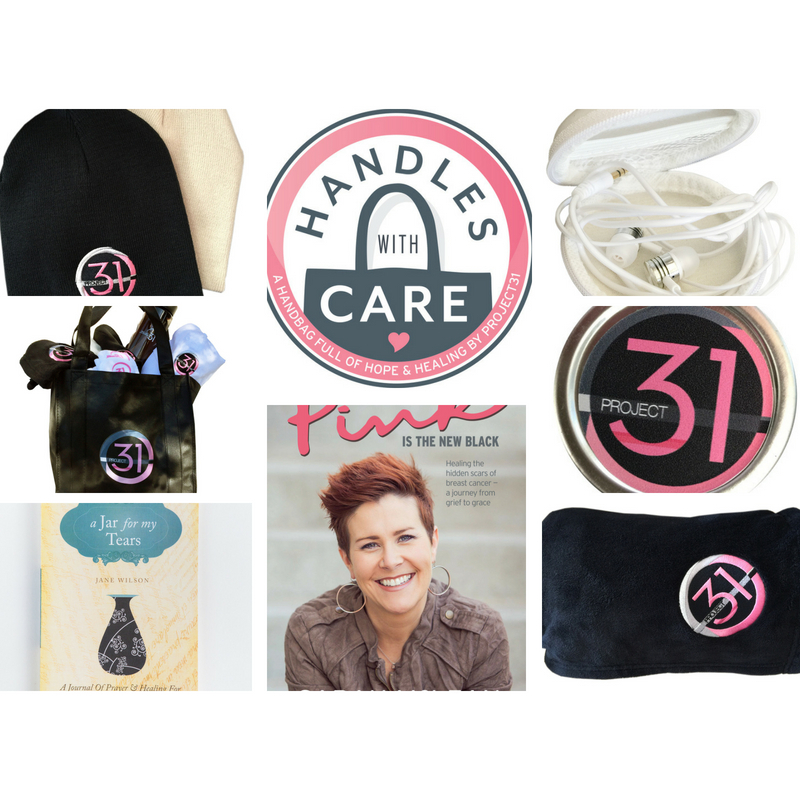 If you are interested in purchasing a Handles With Care bag for someone you know, we will pack and ship it directly. Just visit our store. All proceeds from purchases benefit other survivors. Meet with others at different stages in their breast cancer experience through our weekly support groups, now in 11 different locations throughout OKC, Stillwater, Enid and Tulsa. We provide a community of support, celebration, education, learning and positivity through various guest speakers and activities. Project31 offers financial scholarships for survivors as well as their families to attend professional counseling. One-on-one mentoring relationships are also available to those who would benefit by having someone walk with them through their personal battle with breast cancer. We are always in search of valuable resources and partnerships to offer survivors and their families/friends. Our resources list is provided as a helpful tool for the many issues and needs surrounding breast cancer treatment and recovery. If you would like to submit your service or organization for consideration, please contact us. Sarah and her husband, Steve, are available for speaking engagements including conferences, educational events, and corporate workshops. Read more about Sarah and her story HERE.